Greer's OC | School’s out for summer - but classes at SoCo have just begun! School’s out for summer - but classes at SoCo have just begun! School's almost out - which means you will have time to take some classes of your own at SoCo! Whether you are a total foodie, working on your green thumb, or are an aspiring grill master - there is something for everyone this June at SoCo! For the Outdoor Chef.... Fixtures Living - Fire Magic Grilling Demos Every Saturday in June.You could give dad another tie, but when's the last time a tie grilled you the perfect steak? Give dad the gift of knowledge at Fixtures Living, SoCo. June is known as "mad skillz" month, and every Saturday in June from 2 to 3:30 p.m., witness amazing grilling tips, techniques and demos on the Fixtures Living patio. Fire Magic products will be used - exceptional, high-end, durable grills and accessories! Demos are always free at Fixtures Living - so expect lots of action and great food! For more information please visit FixturesLiving or call 949.429.0800. For the Green thumb.... Rolling Greens Learn + Grow - Succulents and Terrariums. On June 15, Learn + Grow at Rolling Greens, SoCo with everyone's favorite class - succulent arrangements! Since this class is so popular, there are two classes to choose from – one from 11am-1pm, and one from 2pm-5pm. The $40 materials fee includes two 4'' and three 2" succulents plus the use of tools. Then on June 29, the Learn + Grow class is Terrariums - with two times available, 11 a.m. to 1 p.m., and 2 to 5 p.m. The $45 materials fee covers one 4" and two 2" succulents, 6" fish bowl, plus the use of tools. Rolling Green’s Learn + Craft classes fill up fast, so make sure you RSVP today by emailing events@rg-ca.com. For the Foodie.... Surfas Culinary District Free Cooking Demos and Cooking Classes. For the Mama and Mamas-to-be... Granola Babies - Tiny Toes Infant Reflexology Class. Come to Granola Babies at SoCo on June 15 at 1pm to learn relaxation and calming techniques for your baby or toddler using reflexology! The class is $35 and more information can be found here. For the young artist.... Creativity Camp at Chuck Jones Center for Creativity. The Inaugural Chuck Jones Creativity Camp coincides with the West Coast debut of the Blackwing Experience, a three-day extravaganza celebrating one of the most famed pencils in creative history (and Chuck Jones’ favorite pencil). The Creativity Camp is a four-day cornucopia of creativity for kids ages 7-12. The creative endeavors will include creativity in the painting, animation, drawing, music, and culinary arts. The Creativity camp is Monday-Thursday, June 24-27th 9 a.m. to 2 p.m. daily and $150 early-bird special. Sign up now by visiting here. SoCo is a 3303 Hyland Ave. in Costa Mesa. The “feel good” GMO movie! Want to learn more about GMO’s, our food and living sustainably? 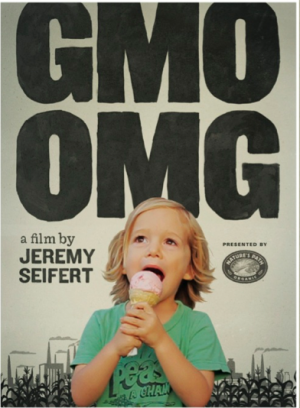 Join the movie preview of “GMO OMG” and attend a fundraiser on Thursday at 7 p.m. at Laguna South Coast Theater in Laguna Beach. “GMO OMG” explores the corporate takeover and potential loss of humanity’s precious and ancient inheritance: seeds. At the event meet two Orange County moms, Zen Honeycutt and Kathleen Hallal supporting Moms Across America. They are raising awareness about GMOs and believe GMO’s are a factor in the epidemic of health, learning, and behavioral problems in children. Moma Across America are on a nationwide campaign to raise awareness about the effects of GMO’s and will be jumping into any parade in America on the Fourth Of July to raise awareness for their cause.